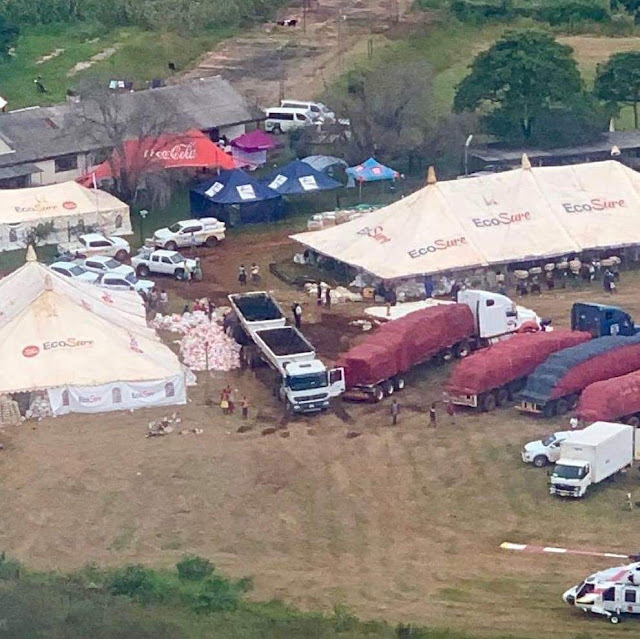 Econet Wireless has not withdrawn its relief effort operations to victims of Cyclone Idai because of alleged political interferences, contrary to some reports. In a statement, Econet said it was continuing with its relief work, and its teams had as of Tuesday March 26, 2019, carried out the highest number of missions in a single day. “Our base camps are all operating normally, and we will not allow anyone to interfere with them. Econet and the Higher Life Foundation are doubling down on their mission. We intend to be in the area for at least 12 months,” the company statement said. 2 Recovery: “This consists of assisting the authorities and families to identify bodies of lost loved ones. This has been going on for several days. The company will begin to scale this activity down in the next few days,” the Statement said. 3 Emergency Relief: “We have so far helped to ensure food is supplied to remote areas using our hired helicopter fleet. This has been going on throughout, from day one. We will hand over this work to other groups once they arrive. It was always part of our plan, because it is not our area of expertise,” the company said. It said Econet had meanwhile paid for several earth-moving equipment to help open access for road-based relief work. “This has been very successful and access has been established to most of the remotest areas. Once vehicles can get to an area, we are withdrawing the helicopters because they are expensive,” the Statement said. “We have specialist helicopters, a plane and at least 20 ambulances available for evacuations. We have been evacuating those who sustained the most serious injuries to Mutare and even to other towns, depending with the seriousness of the case,” the Statement said. It said the second phase of the Econet relief effort will focus on helping communities in the affected areas to recover.